I know I’ve been a bit MIA these last few weeks but that doesn’t mean I haven’t been busy sewing. Last week I sewed a shirt that seemed like it never wanted to be made. I struggled with the pattern, with the instructions and when I was finished I struggled with taking clear pictures of it because the fabric was black. Quite disappointing. I really needed a quick win after spending so much of the past few months sewing endless historical costume pieces and different versions of my new dress pattern. I did finish this Tulip Top for the Blank Slate Sewing Team! 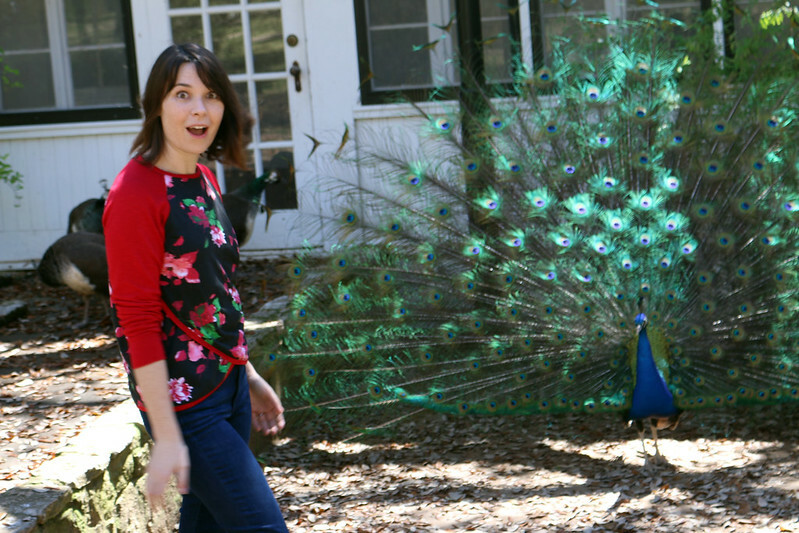 I had a fun time taking pictures of the shirt with some feathered friends (I got really excited seeing this peacock). Charity sewing session for Dress for Success! I made these pants and a couple skirts. This past weekend I participated in a charity sewing event with my meet-up group for our local Dress for Success. We managed to make three pairs of pants, five cardigans, several a-line skirts and a bunch infinity scarves in only a few hours! All were basic and versatile garments made in certain commonly needed sizes. It’s amazing how quickly you can crank out clothes when you’re all working together. 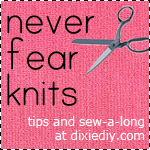 But onward to the important news – my new pattern is spell checked and ready for testing! Here’s the size chart above. If you’d like to test please shoot me an email with the subject “Pattern Testing” to the address below. Please include which size (or size combo like 10-bust, 12-waist, 8-hip or whatever) you’d be making. I’d like to get all the sizes tested. Update: Wow! Thank you for the incredible response. I think I’ve got enough testers for now. I’ll be sending out emails to all of you soon. And thank you all for your support and excitement over this pattern! It’s helped me so much to stay motivated to finish this project.